Montpelier, VT - A new slate of elected officers will serve in leadership positions on the Vermont Economic Development Authority (VEDA) Board of Directors. "VEDA is fortunate to have such an experienced and dedicated Board," said Jo Bradley, VEDA's Chief Executive Officer. "We welcome the Board's newly-elected leadership, and deeply appreciate their work, and that of the entire Board, in helping to advance the Authority's economic development mission." John Snow of Charlotte is VEDA's new Chair. Snow has spent more than twenty years in international banking and investments. Most recently, Snow retired as Vice Chairman of State Street Global Advisors in Boston, the world's second largest asset management company. In addition to his time with State Street, Snow's distinguished career included senior executive positions at NatWest Bank in New York, PanAgora Asset Management in London, and The Boston Company in Boston and London. In recent years, he has served as a Trustee of UVM and as a volunteer First Responder in Charlotte while remaining an advisor to several international investment firms. Thomas Gallagher of St. Albans has been elected VEDA's Vice-Chair. Gallagher has been President and CEO of the Peoples Trust Company since 2011. Prior to his appointment, he served as the bank's Senior Vice President and Senior Commercial Loan Officer and has held various positions within the institution during his 20-year career. Gallagher also continues to participate on his family's farm, which specializes in dairy and replacement cattle. 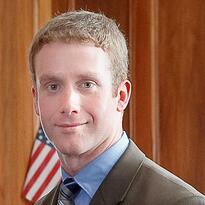 An Accounting graduate of Champlain College, he serves on various community-oriented boards. He also currently serves on the Vermont Banking Association Government Relations Committee and is a member of the Executive Committee. 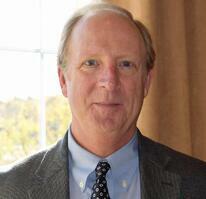 Mike Tuttle of South Burlington has been elected VEDA's Treasurer. Prior to his retirement in 2016, Tuttle served in various positions over a 25-year career with Merchants Bank and Merchants Bancshares, including the last ten as President, CEO and director. 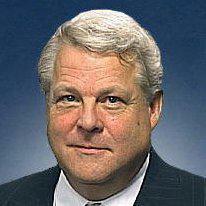 He currently serves as director of the Federal Home Loan Bank of Boston and director of Opportunities Credit Union. Tuttle has also served on various community boards including the United Way of Chittenden County, Flynn Center for the Performing Arts and Vermont Business Roundtable.